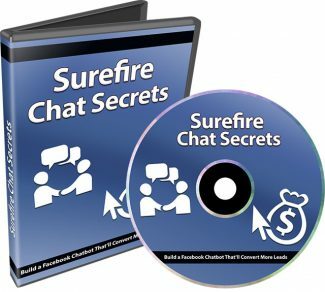 You’re probably here because you’re interested in learning how to use Facebook Messenger to generate leads or semi-automate your customer support. According to Facebook - On average, there are over 7 billion conversations taking place on Messenger every single day. But the big roadblock that a lot of people face is trying to figure out how to do this. It takes a big technical learning curve to create them unless you’re a tech savvy person. So, if you want to be able to create chatbots without learning how to code - look no further because we’re going to be talking about that in this video course. Messenger is way bigger than Snapchat, Instagram, and Twitter combined. It’s easy to get excited and want to jump in without much planning, but don’t. To make sure you start off right - well, give yourself a bird’s eye view first. Grab this video course and learn how to use Facebook Messenger to engage with your prospects and customers.